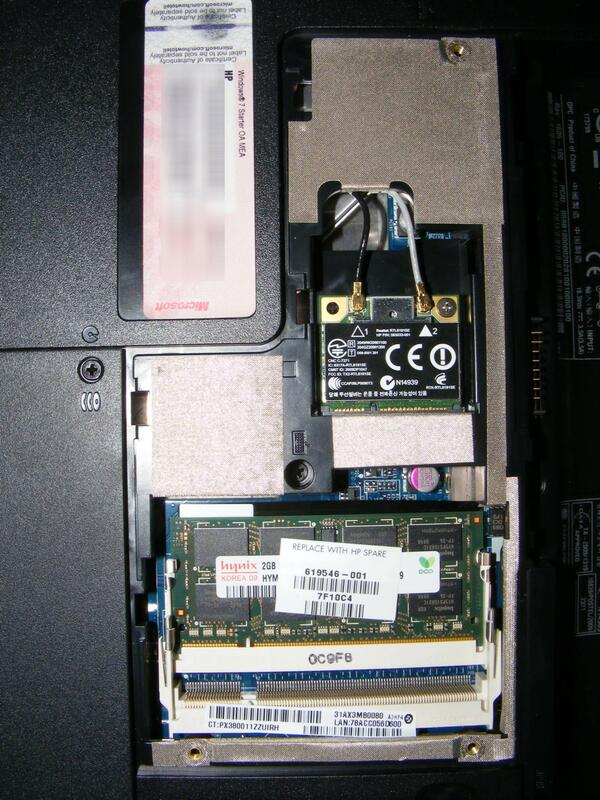 I have a HP Compaq Presario CQ56-103ST laptop and I want to learn whether it uses DDR2 or DDR3 RAM. In its official web page, it is said that it has 3 GB DDR2 (1 x 1024 MB + 1 x 2048 MB). 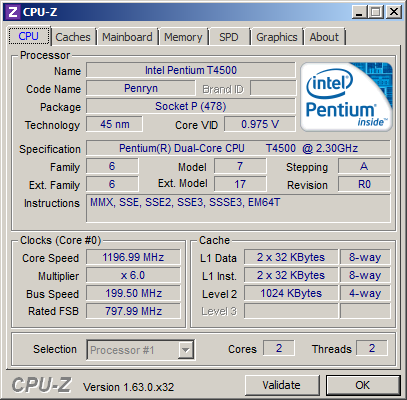 In this page, it is said that it uses DDR2 PC2-6400, DDR2 (non-ECC). Windows says that memory size is 2GB, doesn't tell about its type. 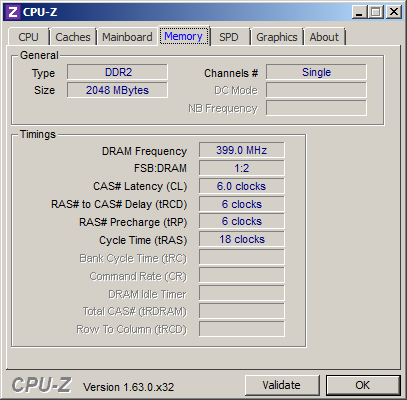 CPU-Z says that it is 2GB DDR2 RAM. Pictures I shot doesn't reveal any information to me. It looks like to be DDR2, but I can't make sure about that. I don't have the user manual of the laptop with me right now. Can anyone please confirm it for me? I'm going to purchase new RAM units, I need to know the RAM type. If I order a wrong type of RAM, it will be a lot of trouble for me. Then count the pins next to the notch to confirm that it is DDR2. (Or check your picture. Enlarged it is easier to count and there are 20 pins before the notch). Yes, PC6400 = 6400 MB/sec = 800MHz so it is DDR2, since lowest DDR3 is 1066MHz.A useful utility to determine the hardware and software in a Windows computer is Lavalys's Everest, whose newer name is Aida64 and can be downloaded from www.lavalys.com It can work from Windows 95 up to Windows 8, without even having all the drivers installed. This is useful for as technicians, so we know which drivers to download without having to visit the manufacturers site. It is especially useful for unknown build-to-order computers and laptops where there is no a single official manufacturer! It even provides links to manufacturer's site to download the driver! If you want to know which kind of memory your laptop contains, your safest bet is taking a look at the manual. Search for "(your laptop model) manual" in any search engine, in most cases it will give you useful results. In your case, using the above search query results in the manual, which states (p. 44) that this model supports DDR2 for the Intel version, and DDR3 for the AMD version. 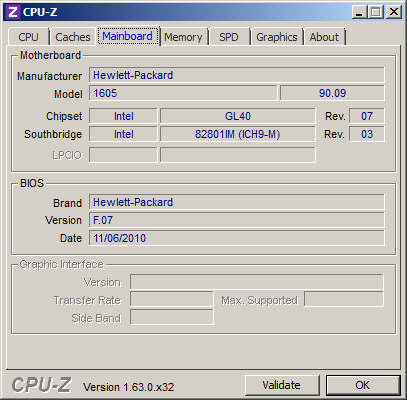 CPU-Z shows an Intel CPU/chipsest for yours, so it should hold DDR2. Even easier? Take the memory out, and have a look. The label should state its type. Not the answer you're looking for? Browse other questions tagged memory ddr3 ddr2 or ask your own question. Will this memory be compatible with my notebook? Can i install more ram than product specs says it will handle? 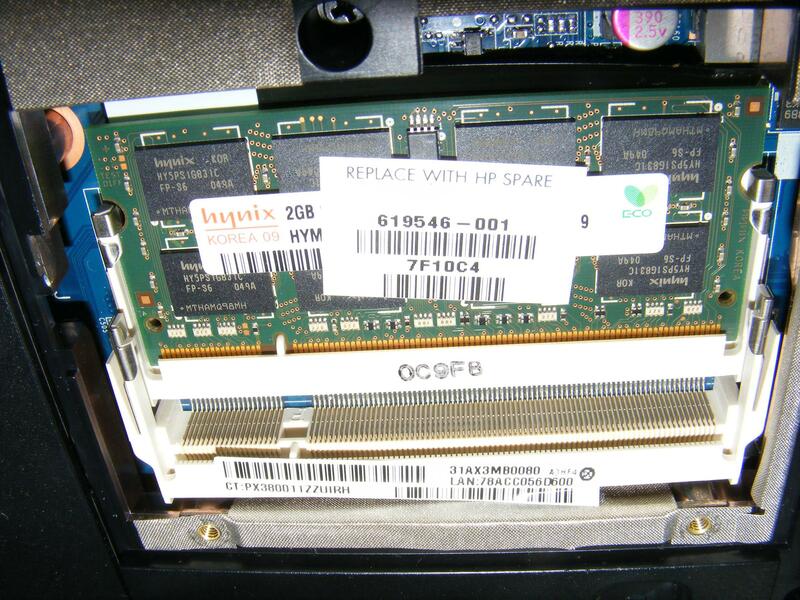 Can I reuse this RAM in my other laptop?